Baked Curried Brie With Mango Chutney | Let's Cook With Bry! Here is another favorite party food of mine that is super easy to prepare and always popular. I discovered this recipe years ago in a Junior League of Seattle cookbook, and I’ve made it countless times. It’s foolproof! Preheat the oven (I use my toaster oven) to 350°. Rub the brie liberally on all sides with the curry. Spoon the chutney atop the brie, and sprinkle the nuts evenly over the top. I’ve found that it’s easiest to prep the brie on a sheet of aluminum foil, then gather the foil loosely up and around the brie before placing in the oven, directly on the oven rack. 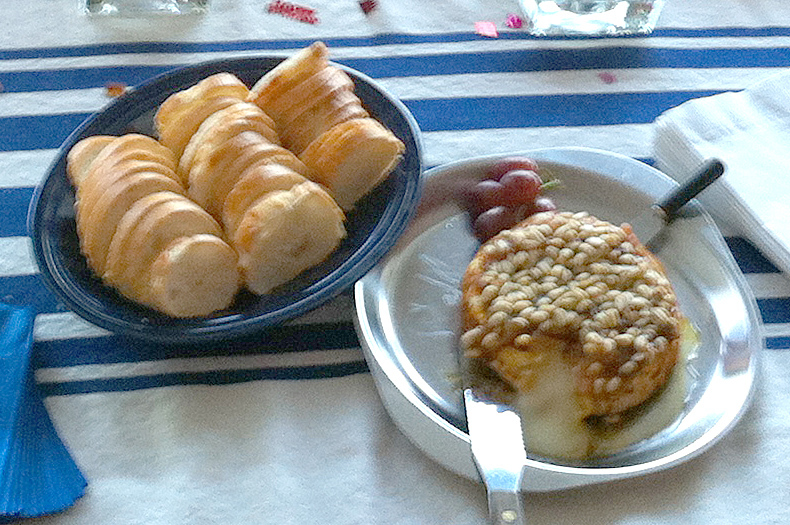 Bake for 15 minutes or until the brie is warmed throughout – the brie should jiggle like a Jell-O mold when pressed, indicating that the inside is adequately melted. Serve with baguette slices or plain table water crackers. 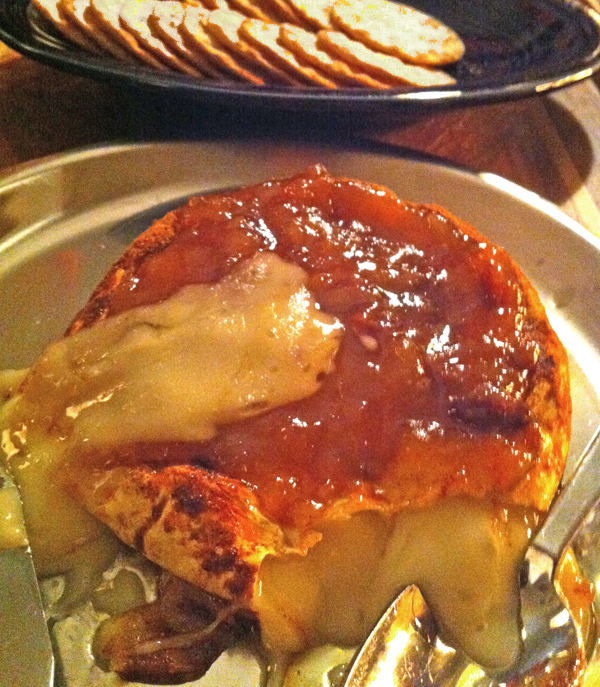 When cutting into the rind, the brie should ooze out, so account for that when selecting your serving plate or tray.